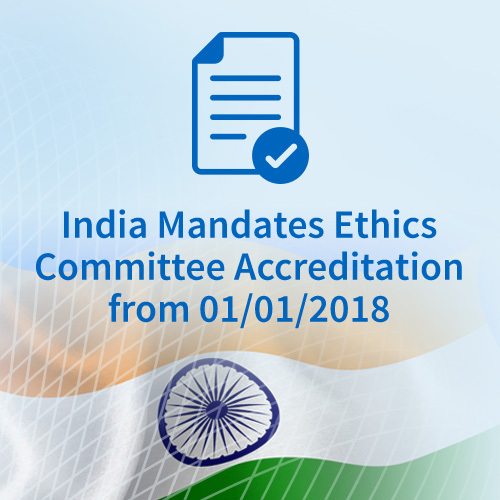 As informed earlier in our blog, the Ministry of Health and Family Welfare, India, has mandated the accreditation of Ethics Committees (ECs), involved in supervision of clinical trials, with effect from 01-Jan-18. The accreditation will be conducted by National Accreditation Board of Hospitals (NABH), Quality Council of India (QCI). ADAMAS attended a training program conducted by NABH on the implementation of Accreditation Standards for ECs. Click here for a brief overview of specific expectations and the accreditation process. The EC should have documented procedures to meet these standards. Procedures should be in place to specify the authority under which the EC is established and administratively governed. To ensure complete independence of the ECs, the EC shall not have any institutional official with any commercial interest as its voting member. According to the Accessors present at the training, this means that except for salaried staff, no member from the trustees or direct beneficiaries or having stake in the hospital finances should be a voting member of the EC. The EC may be reconstituted after every two years or earlier as defined in the SOPs. Assessors mentioned that the EC SOPs should clearly note in their SOPs the maximum tenure for a member which should not be more than five to six consecutive years. The EC members should undergo GCP training annually. The rights and responsibilities of the subjects should be documented in the form of a charter which should be displayed for all stakeholders including the subjects for easy reference. The EC should monitor trials to ensure equitable selection of subjects with special attention to vulnerable and high-risk subjects, such that the benefits and burdens of research are distributed fairly and equally. The subject log should demonstrate a varied area of subject selection (references, other hospital patients, from database). The EC should have a subject grievance redressal process to address complaints or concerns. The EC has authority to conduct for-cause assessments at the site in case of serious unanticipated problems. The ECs are required to conduct self-assessments, minimum two reviews per year. Corrective and preventive actions should be implemented for identified gaps. Application for accreditation will be submitted by the ECs to NABH, using an online application form, along with a completed self-assessment tool-kit, relevant documents and application fee. Assessment of submitted documents will be conducted and feedback shared with the applicant within 30 days of receipt of application. An on-site assessment will be planned upon receipt of corrected documents, within 60 days of receipt of application. The ECs should provide corrective actions to the observations, if any, within three months of on-site assessment. The accreditation committee may recommend or deny accreditation to the NABH approval board. The approval board would take final decision. The accreditation would be valid for three years. The ECs will also be required to pay an annual accreditation fee for all three years. New ECs who have not conducted any trial earlier will receive provisional accreditation based on documentation and on-site assessment. This will be valid for 12 months within which the EC must initiate a trial keeping NABH informed on the progress of trial. NABH will then arrange a visit to the EC for verification and implementation of standards at an appropriate time. Based on this assessment the accreditation may be continued or the provisional accreditation may be withdrawn. Surveillance on-site assessment would be conducted within 15-18 months from the date of accreditation. Surprise assessments might be performed based on any complaints or concerns received. Renewal application needs to be made six months prior to the expiry date, along with the relevant documents and a renewal fee. The process for accreditation will remain the same as that for the initial accreditation.